Now we know who has the president's ear. Barack Obama's iPod is dominated by the work of Bob Dylan and the Stones, along with a smattering of contemporary artists his younger aides have turned him onto, the president told Rolling Stone. But Dylan, who performed at the White House earlier this year, holds a special place on Obama's iPod - and in his heart. "Here's what I love about Dylan: He was exactly as you'd expect he would be," Obama told the mag's boss, Jann Wenner. He wouldn't come to the rehearsal; usually, all these guys are practicing before the set in the evening. He didn't want to take a picture with me; usually all the talent is dying to take a picture with me and Michelle before the show, but he didn't show up to that. He came in and played "The Times They Are A-Changin'." A beautiful rendition. "And I thought: That's how you want Bob Dylan, right? You don't want him to be all cheesin' and grinnin' with you," Obama added. "You want him to be a little skeptical about the whole enterprise." While Obama's taste in music tilts toward the classics of his generation, his younger aides and his daughters have helped modernize his music library. Other artists among the 200 titles on his iPod include Stevie Wonder and the Stones. The president's personal aide Reggie Love has improved Obama's rap repertoire, introducing him to artists like Nas and Lil Wayne. 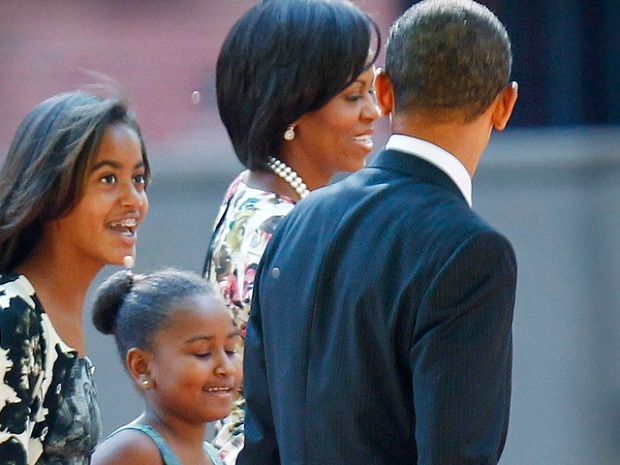 Obama also says his daughters, 12-year-old Malia and 9-year-old Sasha, are getting old enough to start sharing their taste in music with their dad. 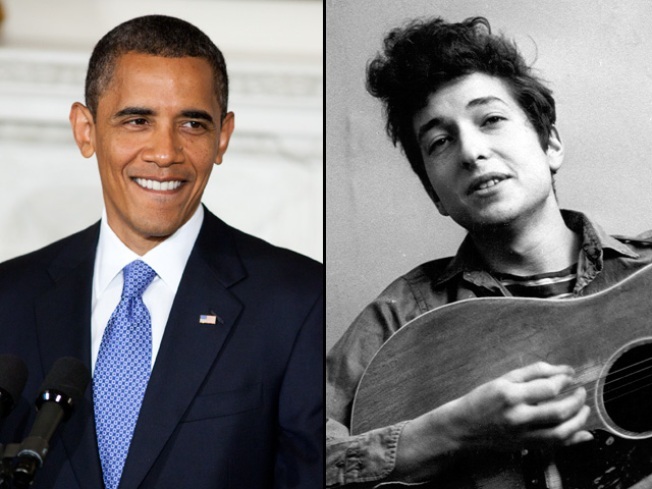 While Dylan didn't exactly gush when he met Obama in person, the aging troubadour has expressed admiration for the Commander in Chief in the past, especially after reading Obama's autobiography, "Dreams From My Father." "He's like a fictional character, but he's real," the singer told Newsweek. Selected Reading: Telegraph, The Associated Press, Rolling Stone.